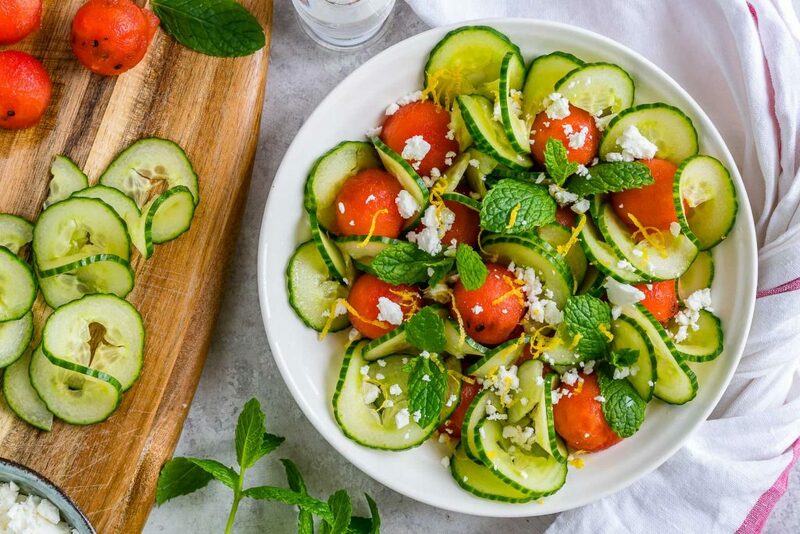 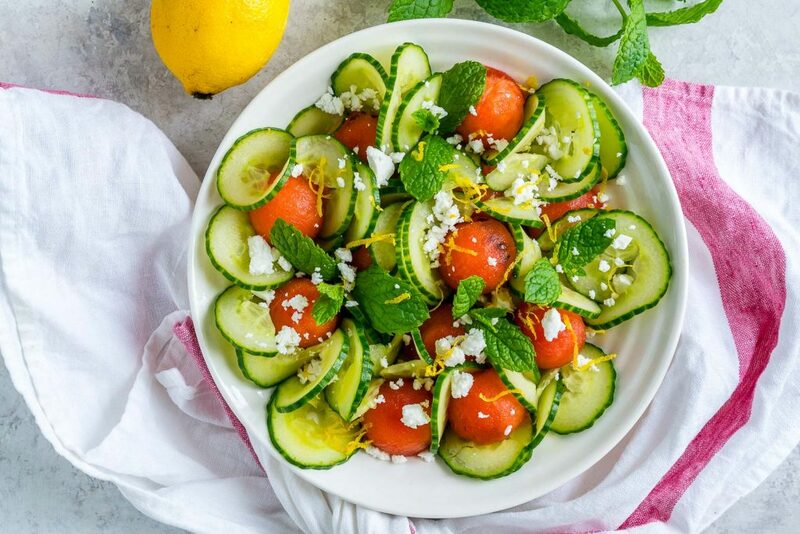 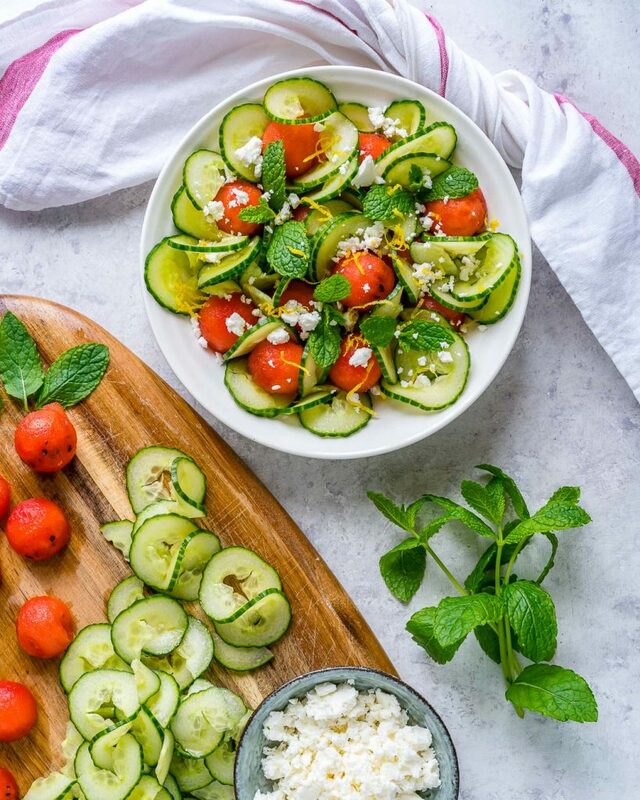 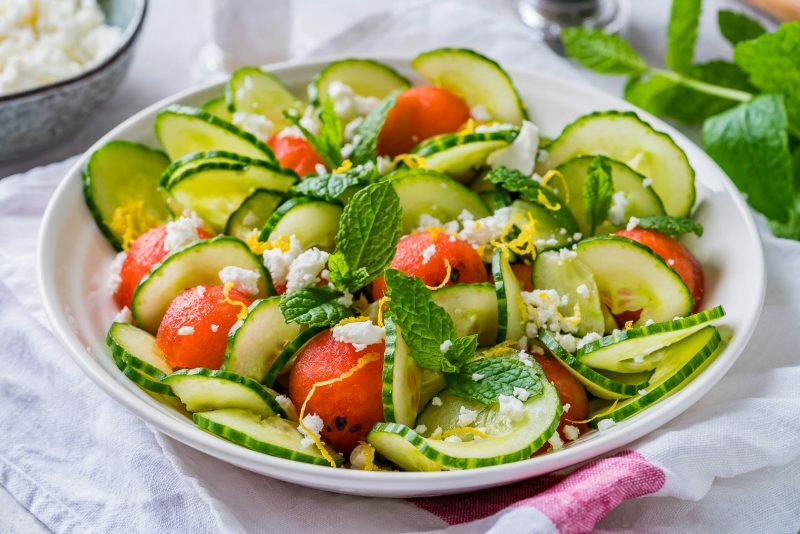 Feel Lighter with this Fresh Cucumber Watermelon Summer Salad! 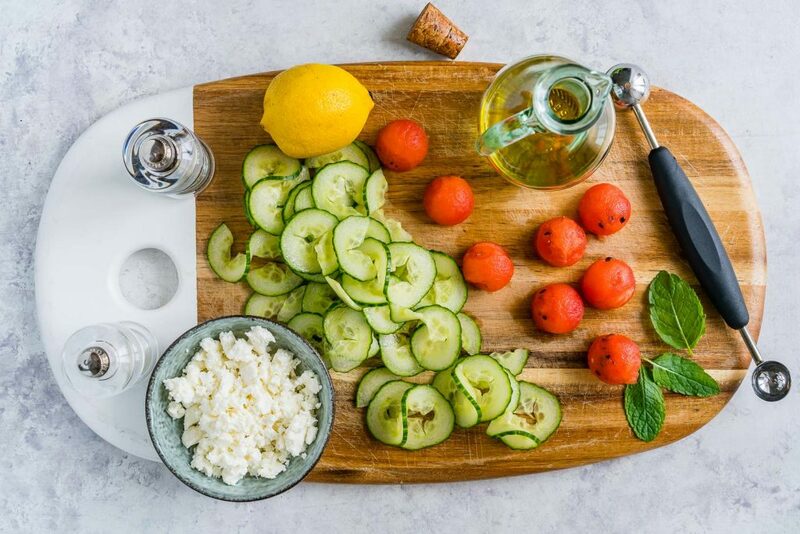 Add all the ingredients to a large bowl. 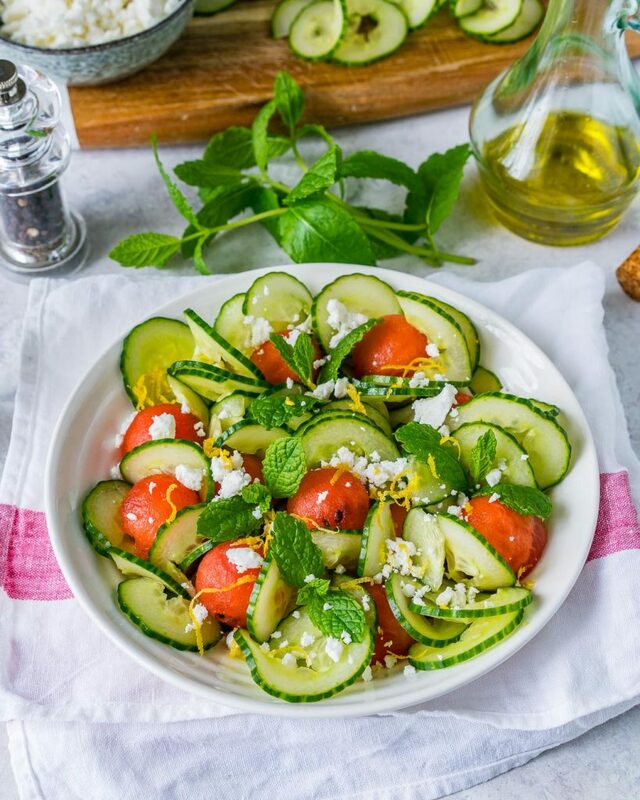 Season with sea salt and freshly cracked pepper and toss gently to combine.